Ricky Dillard has had an association with choirs since he was knee-high. His founding of the New Generation Chorale (affectionately known as New G) in 1988 was a God-ordained event sanctioned by the choir's winning of the McDonalds Choir Competition the following year and a Grammy nomination and GMWA Excellence Award statue for their first album, The Promise, released the following year on Malaco Records. Dillard firmly believes he is a true recipient of the promise in scripture that says a man's gift makes room for him and brings him before great men. Over two decades, Ricky Dillard has earned the distinctive title of choir master and has shared his gift with countless audiences both nationally and internationally. The taping of Going Home to Gospel in 1990, a PBS special with Patti Labelle and Albertina Walker, would open doors and bring Dillard to the silver screen in Leap of Faith followed by Sister Act 2 and The Fighting Temptations. Ricky Dillard and New G celebrate 25 years with the release of Amazing, their ninth project recorded live in Chicago, and released on Light Records. GOSPELflava had a chance to have a candid conversation with Dillard about his life and times, the new CD and what keeps him going. GOSPELflava.com: What can you tell us about the title track on the new album, "Amazing"? 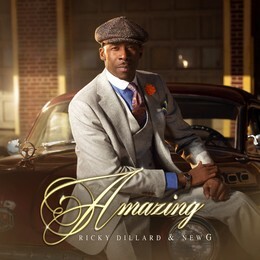 Ricky Dillard: "Amazing" had been floating around for a couple of years, maybe because of it being an independent project it didn't make any real headway, once I heard it and taught it to the choir and they responded, I knew this would be the perfect vehicle to use to present a new sound for New G, and the rest was GOD. We have a long association with the Stellar Awards (we performed at the very first Stellar Awards in Chicago), but I don't think anyone would have or could have imagined the response we would get from us singing the song at the end of the 2014 telecast. GOSPELflava.com: What is the current state of the choir, New G? Ricky Dillard: I don't add any fuel to the ongoing discussion that the choir needs or will need a resurrection. The choir doesn't need to be brought back. Choirs haven't gone anywhere. If anything, it was radio that kind of abandoned choirs. Thank God for people like JJ Hairston who took Youthful Praise and offered praise and worship music that choirs could sing. As for the rest of us, we just kept going, Hez didn't stop, I didn't stop and we are still here. "Every Praise" has been on the charts for more than 26 weeks in the top spot and got him a chance to sing to people who wouldn't normally hear the Gospel on the Arsenio Hall Show. As long as there are churches, store fronts, midsize, mega cathedrals, whatever, there will always be a need for the choir. GOSPELflava.com: Do you have some tips for handling the seasons of life? Ricky Dillard: Times of discouragement will come in the life of the believer. We all get to the point when we are questioning God, asking if we are in the right place, and "where do I go from here". It happened to me; I was in a low place, it looked like things were not flowing in the right direction and I was really contemplating if I was doing the right thing and what my next steps should be. It was about that time that I noticed I was losing weight and my face was breaking out, so I went to the doctors and they couldn't diagnose what was going on with me. It wasn't until I went to the dermatologist that I discovered it was sarcoidosis. I was prescribed medication and started the road to recovery. I have gained some weight and am doing well. The Lord allows us to go through things for a reason, I know the Lord led me through the experience so that I can encourage others. GOSPELflava.com: What should we look for on your new project? 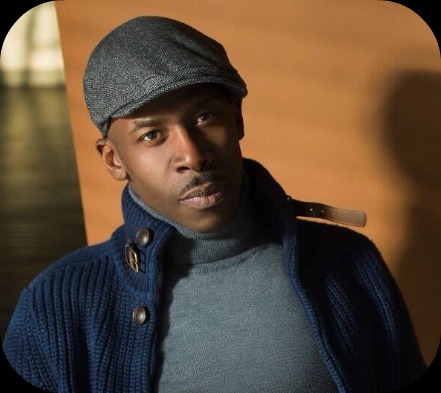 Ricky Dillard: I was intent on offering some versatility in this project. Lillian Lloyd has had the "shout song" on the last two projects and I wanted to give her something that would show her vocal ability and have people find out that Lillian can REALLY sing, so Lillian does "Stay With God", which is a cover from the Bibleway Radio Choir's 1976 Savoy LP. Now Lillian gets to be Evangelist in the song, but she gets to sing at the beginning. GOSPELflava.com: What can you tell us about the tribute to Gospel legend, Dr. Charles G. Hayes? Ricky Dillard: So many things happened on the night of the recording. I am so grateful that we were able to pay tribute and honor Father Charles G. Hayes. Dr. Hayes was a great source of encouragement and strength to me and New G, not just in the early days, but in the "every days" of our ministry. I could call on him when people said we were going too far and he would tell me to "keep doing what you're doing". We had no idea that the Lord would call him home so soon after the celebration, but I am so glad we got the chance to show him love. GOSPELflava.com: Do you have a favorite song on the CD? Ricky Dillard: I don't know if I can say I have ONE particular favorite song on the CD, I like them all. If there was a total summation for the recording, I think it would be the song "Grace". You really have to have been through something to appreciate grace in your life. The grace of God is really AMAZING (and I'm not using that as a cliché). Most people will get into the groove of the song, but if can you get past the instrumentation of the song and listen to the words, it is guaranteed to hit you. If you remember, we shouted a while and had a 'pass the mic' session off of "Everything". Byron Cage does a masterful job handling "Grateful". We have the message music on the CD, songs like JJ Hairston's "I Believe" and "Be Weak" that stand on their own merits; I love "Celebrate the King" [both "Everything" and "Celebrate the King" were written by Chicago's Montague Pheloan]. I love what LeAndria Johnson does on "Almost There": the girl WAILS!!! She was one of the highlights of the recording. I can't leave out the "Covenant Medley", its significance just doesn't cover the songs that we have done over the years, it's the promise; the promise that God made to ME years ago and the songs that ministered to ME.